Nothing bad was happening. I was overworking myself, and my first notion was to keep going, until I didn’t have anything left to give. Then, when I thought I wasn’t meeting my own expectations, I felt stressed and overwhelmed. That’s definitely the wrong approach. I even went to the hospital for a few hours because I was sick and so stressed out. (That was so embarrassing.) But God is good, and I’ve been learning to adjust some things. I’m still working on making the switch to rest, before things get out of hand. But ya know… life. Thankfully, I finally got it together to take a breather and relax. Even for an hour, to just rest. Because let’s be honest, if I’m not rested, how can I do what I’m supposed to do? I can’t be all that I can be if I’m stressed. Slept more. Prayed for strength and grace. Said no to some opportunities. Got outside to feel the sunshine on my face. Took some time to be with friends. Reminded myself that I can’t do everything all at once. Made a playlist of songs that calmed me down and spoke some life into me. Including this song – “It Is Well”. Of course, there are Scriptures that I read and say aloud to bring comfort, to remind myself that I’m not alone. Yes, my soul, find rest in God; my hope comes from Him. Truly He is my rock and my salvation; He is my fortress, I will not be shaken. My salvation and my honor depend n God; He is my mighty rock, my refuge. Trust in Him at all times, you people; pour out your hearts to Him, for God is our refuge. It hasn’t been easy, but as I relied on Him to get me through real life, it’s gotten better again. Have you heard Shawn Mendes’ new song, “In My Blood”? There’s a line that just spoke to me, as if it was written just for me. I don’t think we were created to be quitters. So, with that in mind, I have a few questions for you: What do you do when you feel overwhelmed? 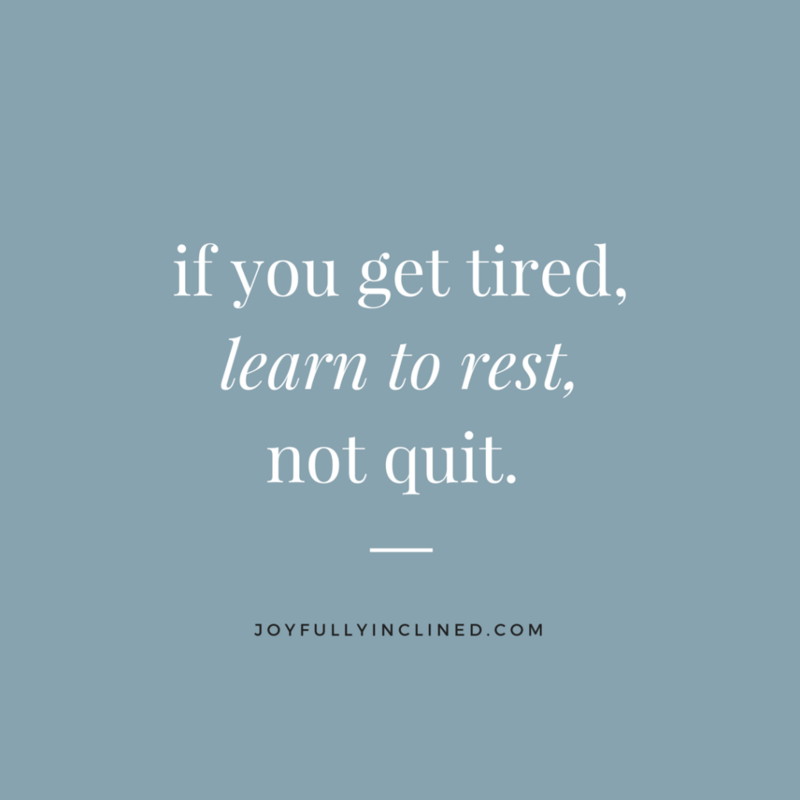 How do you make time to rest? It took some time to write this, being honest. But I wanted to share, just in case you may be going through what I went through. My encouragement for you is to get rest, take care of yourself, and encourage yourself. But don’t forget to stand back up and get movin’. On your own time.